The Cantor Fitzgerald Equities National Stakes Listed race over 5f 6y on good ground. Seven two-year-olds takes part, predominantly colts with the exception of a couple of fillies. All winners bar one colt who has been placed on two occasions. Decent prize money on offer with a purse of almost £15,000. On the face of it, not the easiest race to assess with a number of winners & progressive juveniles. Steventon Star is a talented colt, only deprived on debut by another precocious youngster in the shape of David Elsworth's Justice Day. 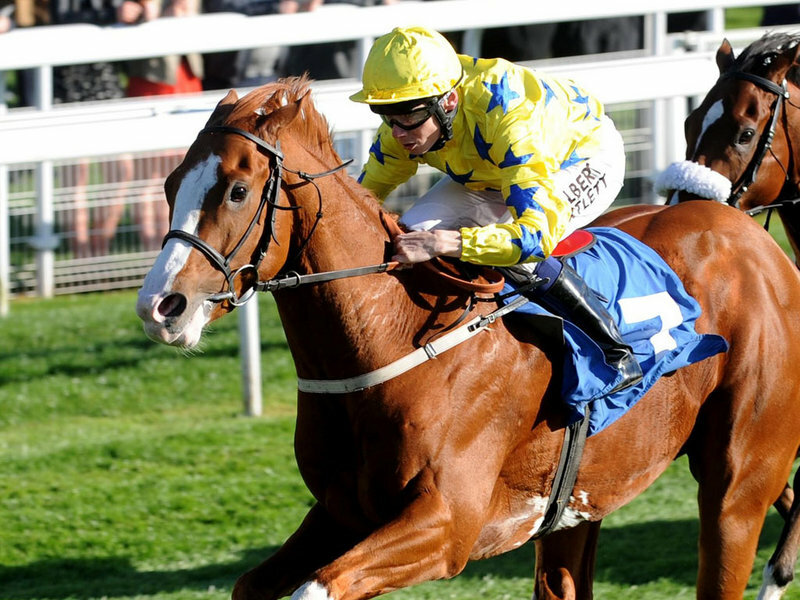 An effortless victory came at Windsor followed by a gutsy win at York. Hughes is a canny rider and it is to his credit the way he nurtures and builds the confidence of the Hannon youngsters to enjoy their racing. By all accounts that was a strong race. This bay colt, a son of Pastoral Pursuits, sets the standard for others to achieve. His trainer has a brilliant string of juveniles so the stable have their pick of candidates for this contest. A wide draw could be problematic or a blessing. Hughes will probably take a handy position and pounce in his normal, waiting, style. The horse to beat. However, whether I would jump in at short odds is another matter. A number of the opposition have shown ability and could improve significantly. On the other side of the coin, they need to progress to have a fighting chance. In true Clive Brittain style, Rizeena is set a challenge by being one of two fillies to take on the colts. That is never an easy task. This daughter of Iffraaj showed great promise on debut in a hot Newmarket maiden. Saeed Manana's bay filly finished as if her tail was on fire! Readers know I fancied her to win at Ascot, and so she did in ready fashion. I have little doubt the runner-up is held in high regard by Hannon's. Things haven't gone right for Oriel. Rizeena could well be a talented juvenile but needs to improve. At this grade, it is difficult to be confident she is up to this class. A horse I will be rooting for but taking a watching brief. Eastern Impact was set what looked to be a stiff task when competing at Stakes class on debut. Richard Fahey has a vast string of two-year-olds and the stable must have fancied their chances that day because this colt was well backed. An impressive victory was seen, which gives hope of better things to come. However, in retrospect, the form of that race was quite weak, more like a maiden [if that makes sense] and improvement is needed. Such a stylish win gives opportunity but more is needed. Roger Varian is a true talent and although a little slow with the juveniles this season they are a force to be reckoned. Andhesontherun looked inexperienced on debut at Leicester and although winning I don't believe the stable thought this son of Captain Rio would lead the way as he needed the run. However, with Capitulate disappointing, that race fell apart and this son of a Group-raced mare picked up the pieces to beat Atlantic Affair. Considering Rizeena left Mark Johnston's horse trailing he has much to prove. On the plus side, this February foal should leave that form well behind. Another two-year-old who needs substantial improvement but not one to judge on that basic form. *Zalzilah was fancied to run well on debut - he had been entered to run at Stakes class before he made his debut - but failed miserably, albeit behind a decent horse in Extortionist. James Tate must have been smiling at Beverely because I have little doubt they went there with view to winning. Make no mistake that was an impressive victory. Look back to fifth placed Lily Rules [who was beaten by Eastern Impact] and the third & fourth have both run well since. An easy six-length victory over those capable horses puts this bay colt pretty high in the pecking order for the better juveniles seen this season. I would take this horse seriously. He is priced at pretty fancy odds on the exchanges this evening [Wednesday]. If drifting to speculative odds, he could be worth an each way bet. The other filly in this field is *Autumns Blush, trained by Jeremy Noseda. This daughter of Kheleyf finished behind Rizeena in that hot Newmarket maiden but I was left with the impression that was a day to learn rather than win. The money came for her at Yarmouth where she was seriously backed. That may have been a small race and it is perhaps too easy to consider it was nothing more that a run-of-the-mill event. Time may tell that was the case but it is worth noting that the word was out before that race this bay filly was already going to Royal Ascot. That confidence probably tells the story that ample improvement had been noted from first to second start. Fallon done little more than push her out with hands and heels. It is worth noting that the second horse - Bush Beauty - is held in high regard by Clive Brittain and the third looks up to winning a maiden. Urban Dreamer needs to improve after two fair efforts but this will be a much tougher test. Conclusion: A fascinating race simply for the fact that a number of winners take each other on but feature such varied profiles with a mix of achievements to date. The proven horse is Steventon Star. A wide draw may be a slight concern but he is a decent horse who could well show these what a winning is all about. However, the price looks very short with a number of unexposed, winning, juveniles with something to prove. Zalzilah may just slip under the radar after a poor debut. Many a punter may consider his win at Beverley was simply due to limited opposition. I don't think that was the case and time may tell this is a class horse. If touching speculative odds, he could be a worth a small each way bet. Rizeena is progressive and should finish this race with purpose, which is no bad move at Sandown. I'm a big fan of Clive Brittain and I will be cheering her home. Eastern Impact & to a greater extent Hesontherun need to improve for their first victory. They are likely to do just that but it is difficult to assess such horses and these concerns always make me tread careful, especially at relatively short odds. Autumns Blush is another unknown quantity. She is a strong sort and hails from a trainer who knows what it takes to win a race of this nature. I wouldn't be tempted to bet in this race and just enjoy the spectacle. Steventon Star sets the standard. If looking for value, Zalzilah may be the surprise package at fancy odds.